Gide was born in Paris into a middle class Protestant family. During a trip to Alegeria Gide realized that he was gay. His first novel The Notebooks of Andre Walter was published in 1891. Gide met Oscar Wilde in 1894. 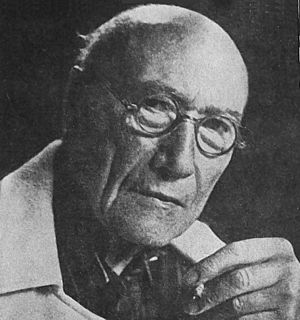 André Gide Facts for Kids. Kiddle Encyclopedia.